I feel very sorry to ask for this but I really need help, I have a hard time getting an answer to what I need for my metaphysical essay related to the movie "Cloud Atlas", I have seen it several times and I have not been able to establish with what theory could the movie be explained, how can I unite interpretations of Plato's Cave and Plato's Metaphysical Theory of Reality (Idealism) or Aristotle's Metaphysical Theory (Realism) with the movie? I understand that on the one hand we find the dualism of Plato and the presence of two worlds that would represent in a certain way the World of Forms, but in the same way the monism of Aristoteles is a present element. 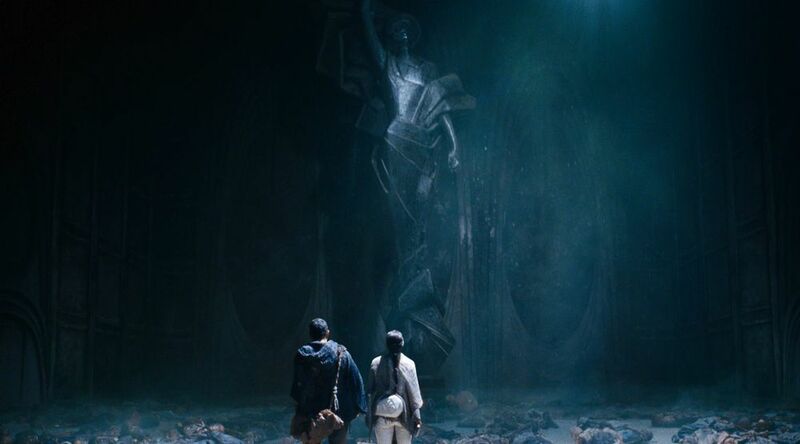 It was left out in the movie, but in the novel, Plato’s The Republic is explicitly mentioned, it is read by Sonmi 451 in the process of her “ascension”. The society she lives in is also based on “castes” (similar as in the other Cloud Atlas stories/episodes), purebloods and fabricants (clones), and founded on a lie (the promised retirement for fabricants – instead death awaits them), like a warped version of the Noble Lie. Then you find a civilization’s rise and fall as in Plato’s myth of Atlantis (in Timaeus) and reincarnation of souls (that our choices and the character we develop will have consequences after death) as in Plato’s myth of Er. Maybe those are more promising starting points to investigate Plato’s themes in Cloud Atlas. Now, regarding the allegory of the cave: its point would be seriously lost, in my view, if you reduce it to “reality turns out to be dramatically different than you assumed it to be” – it’s first about Plato’s theory of Forms. But if you have to make a connection, one could compare Sonmi’s life in the restaurant to one of the cave dwellers. She has a totally false view of reality, created by a corrupt authority. I’m simply at loss what “Aristotle’s monism” should mean in this context and I can’t recognize any major Aristotelian themes in Cloud Atlas – sorry. Not the answer you're looking for? Browse other questions tagged aristotle plato or ask your own question. What philosophical reason did Al-Jahiz give for preferring Aristotle to the Qur'an?